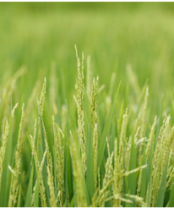 The Benefits of Grain Products on Livestock Health | WEST GRAINS INC.
With rice being the staple food throughout the country and the government seemingly have taken the rice importing route, the graining industry of the Philippines is in desperate need of a refurbishing. We here at West Grains hope to achieve that, and so in light of this great epiphany, here are three grains of truths about. We here at West Grains just love to educate the public on how important the graining industry is here in the Philippines. With rice being the staple food throughout the country and the government seemingly have taken the rice importing route, the graining industry of the Philippines is in desperate need of a refurbishing. We here at West Grains hope to achieve that, and so in light of this great epiphany, here are three grains of truths about, well, grain by-products that you may want to look into if you’re in the animal or animal-feeds business. For a long time rice bran has been a staple of animal livestock feeds, and for good reason: it has many benefits for their overall health. Consisting of important dietary fibres and “phytonutrients” like oryzanols, tocopherols, tocotrienols, phytosterols and more, rice bran does wonders for an animal’s body. Rice bran aids in digestion of food. Those dietary fibres help the animal absorb nutrients faster and more efficiently, adding a great deal to their overall health and physical appearance. But rice bran isn’t only for helping your livestock eat food better either – studies have shown that rice bran has some amazing health benefits for animals as well – from improving their immune system to reducing their risk of getting diseases – and we’re not just talking about simple colds and foot and mouth disease here either: we’re talking about things like cancer and heart attacks, that sort of thing. Now we know what you’re thinking: if rice bran is so healthy for animals, is it safe to assume the same goes for humans as well? The answer may be partially true, but evidence of health benefits for humans have not been documented yet – tests on human subjects have yet to be made, and for one reason: rice bran turns into a disgusting unsavoury mess within six hours of its production once applied to food, which as you can probably guess, makes it a poor candidate for marketable products that need to be preserved for mass consumption. Scientists are currently studying the potential ways rice bran can be used to lower cholesterol, combat cancer, relieve pre and post-menopausal symptoms, and even hide the signs of aging! Everybody loves antioxidants in their food, right? After all, why invest on making something fit for human consumption without testing for its health benefits first? But wait, there’s more! 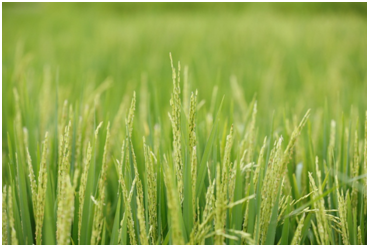 – There has already been a way to make rice bran at least halfway marketable: in the form of rice bran oil. We’re not experts on medicine here, but if rice bran oil proves to be better than your artery-clogging vegetable oil, then you’ll know who to call here in the Philippines in case you need a steady supply of liquid gold. Wheat pollard (or wheat bran, as some call it), is the by-product of dry milling wheat into flour. 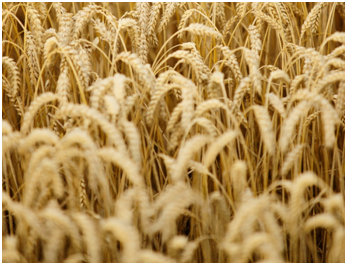 Mainly used in animal feeding, wheat pollard is the answer to the common farmer’s prayer for a multi-purpose animal feed in terms of versatility and universal application. Not only can wheat pollard be used to feed your farm animals like cows, pigs and goats, but it can also extend to poultry like hens and ducks, and even go so far into the aquaculture industry as to be applicable to all kinds of market fish like tilapia and bangus (milk fish). So animals love the stuff – but does that mean it’s good for them? But of course! Wheat bran has had a centuries-long good reputation among farmers for its health benefits that, much like rice bran above, have been known to help lower cholesterol, as well as be a rich source of dietary fibre. However, again much like rice bran, it also has a tendency to go rancid after a while, so you’d do well to store it a refrigerator or some kind of vacuum-sealed canister if you plan to keep it in your pantry for a long time. Ah, yes. Ever since the Chinese invented soy sauce in the 2nd Century BC, life in the kitchen has never been so savoury! But we’re not here to discuss the umami-tastic flavour of soy sauce however, but rather its close cousin’s by-product, the soybean oil. 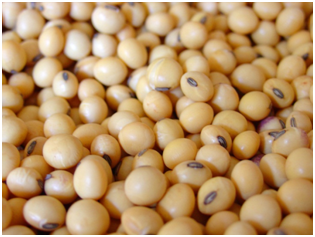 Soybean meal comes from taking soybeans and extracting the oil within to make cooking oil. Whatever is left of the soy after its precious oil has been extracted is known as soybean meal. Soybean meal has the honour of being called the world’s most important protein source for farm animals. It is so abundant and so rich in protein that it is unrivalled in the feeds industry. With soybean meal being readily available almost everywhere, it’s no wonder the graining industry has always been flourishing, even in times of recession where agricultural products become an absolute necessity. Again, much like wheat bran above, soybean meal has been proven to be compatible with most livestock and poultry animals, including fish and some crustaceans. 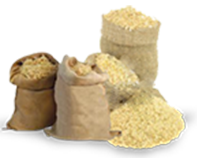 Indeed soybean meal has been one of the graining industry’s aces since time immemorial. All that protein has to go somewhere – and in this case, it may literally be your wallet – animals that eat feeds mixed with soybean meal have been shown to grow significantly bigger than those that do without. You also have the added plus of both rice and wheat bran with soybean meal’s disease-preventing capabilities, so you should really consider getting some for your livestock if you’ve been feeding them non-soybean meal feeds.